Mail Label Designer - Purchase our address label software. FULL VERSION - Once your order is processed you will receive an email with instructions on how to access the latest full version. ID CODE - Your personalized ID code is used to activate the latest full version or any supported older version, allowing you to use whichever version you are most comfortable with. UPDATES - Updates are provided for a minimum of one year from the date of purchase. The software does not expire so it can be used as long as you want even after the update period is over. PRIORITY TECHNICAL SUPPORT - Licensed users are given priority technical support. A Backup CD if you order one by choosing the CD option below (S+H fee applies). Completely secure. We use industry standard SSL encryption to ensure that any data sent to our order site is completely secure. Our credit card processor stores all credit card information in a completely secure location that is not directly available from the Internet. 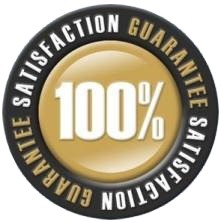 You can rest assured that orders placed will never compromise your credit card or personal information. Prices are shown in US dollars. Checkout will show the price in your local currency. Software runs on Windows 10, Windows 8, Windows 7, Windows Vista, Windows XP (32 and 64 bit versions). If you have a problem placing an order please contact us.